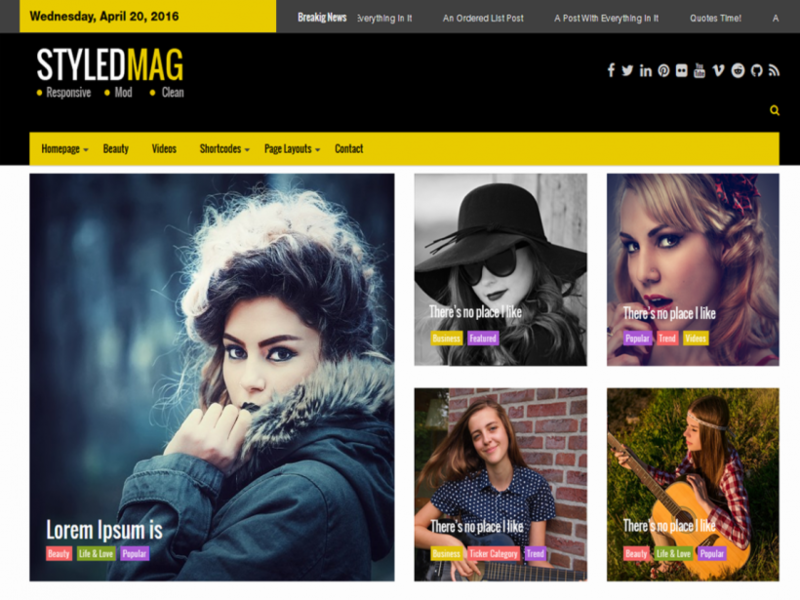 Celestial Reloaded is a sophisticated theme that offers a multipurpose style of design to encompass almost any kind of website you throw into it. 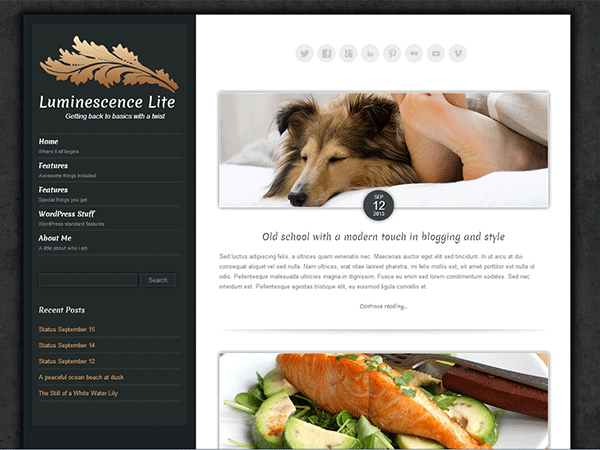 Whether it’s a simple blog or a professional business website, you will definitely rise to the level of great looks! 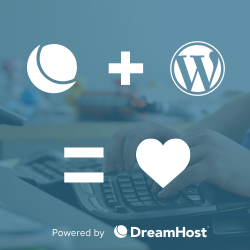 Completely rebuilt from the original Celestial theme, you now get a far better solution when it comes to features and options. 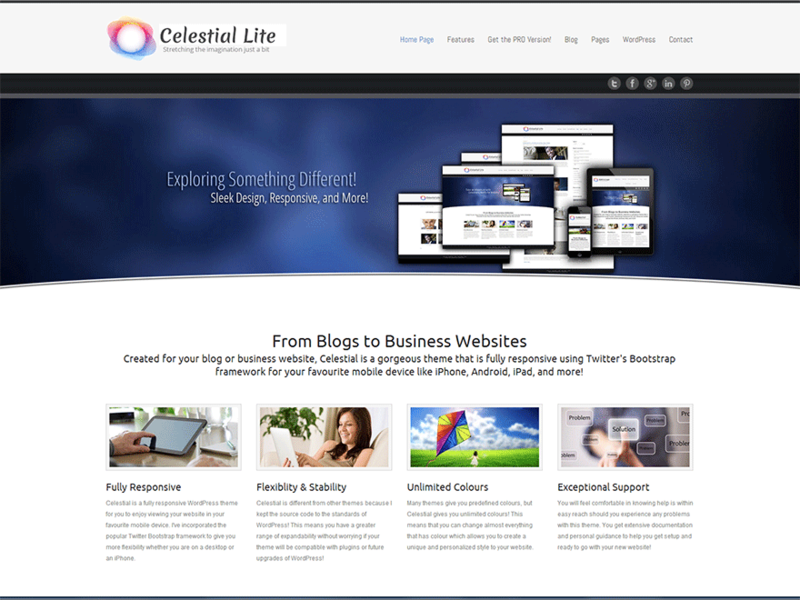 Celestial Lite is a responsive theme incorporating a flexible grid system, crisp lines, Unlimited colours, post formats of: Aside, image, status, and quotes, plus you get a much better WP gallery style, HTML5, CSS3, Translation readiness, social networking, more than 12 widget positions, page templates, styled form elements, and more. You also get an installable child theme in your download for making custom changes. 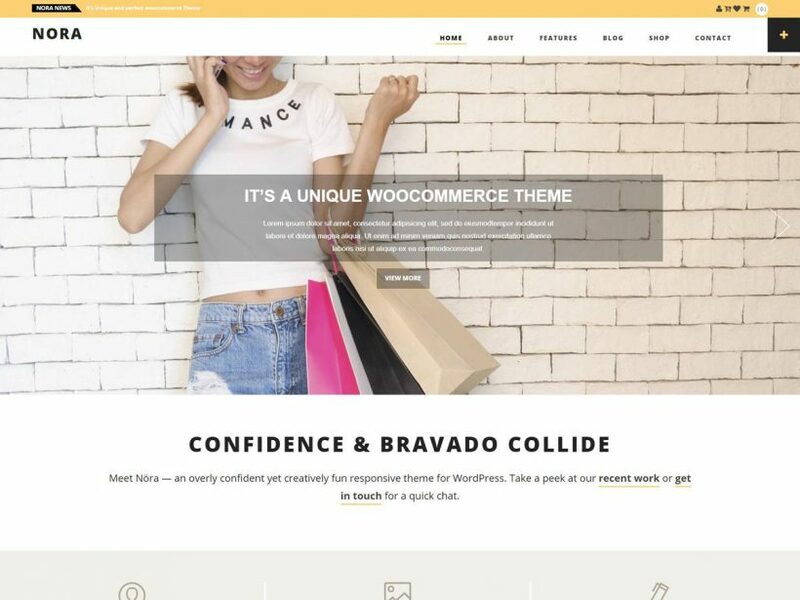 Of course, if you want even more, there is also a new Celestial Reloaded version of Celestial for a true business website, but the free version should still give you an awesome website as well.